“Woman, of what concern is that to me”? “Son, you know better than I. What I do know is that … I have seen your concern over the last 30 years; concern expressed in the littlest things. You have talked about bringing all people to your father, about sharing his hesed; about bringing life to all – a life full of joy and love. Isn’t that what thus is about? Love? Your super-abundant self-giving? About showing love? About showing what that means? Is there really anything that is not your concern? You created it; you sustain it -I don’t understand what I am saying but I have heard you say it – and, and, somehow I know it to be true, indeed, I have always known your heart like I know my own. I know – that whatever you mean.by “my hour” and to hear you speak like that fills my heart with sorrow and fear — I know that right here right now this couple is your concern. What do you think her answer was? Share it in the comments. My heavenly father, as I enter this work place, I bring your presence with me. Bring your peace, your grace, your mercy and your perfect order into my work. I commit to use them responsibly in your honor. I acknowledge your power over all that will be done, spoken, thought and decided within these walls. Anoint my projects, ideas, and energy, so that even my smallest accomplishment may bring you glory. Lord, when I am confused, guide me. When I am weary, energize me. Give me a fresh supply of strength to do my job. When I am burned out, infuse my mind with the light of the Holy Spirit. May the work that I do and the way I do it bring faith, joy and a smile to all that I come in contact with today. And oh Lord, when I leave this place, give me traveling mercy. Bless my family as they go about their day and watch over my home so that it will be as I left it when I return and to always be a place of life and love. Lord, I thank you for the gifts you have blessed me with. Lord, I thank you for everything you’ve done, everything you are doing, and everything you are going to do. Toward the end of last week’s meeting of the Church Guys, the discussion turned to culturally significant movies. 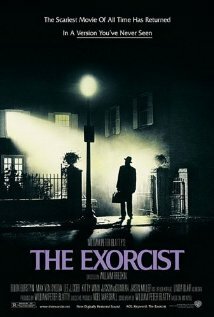 One movie stood out for me: The Exorcist. Coming out in 1973 (December 26, 1973), the movie would be nominated for Best Picture. I remember watching it behind my parents’ back with my best friend and being truly terrified for weeks. (I followed my parents’ directions much better afterwards.) The poster still sends shivers down my spine. When I looked it up, Wikipedia told me that the movie had been based on events that took place in the Washington, D.C.-area. Around 2000, an editor for Strange Magazine set out to pull together the “cold, hard facts” about the incident underlying The Exorcist. Painstakingly reviewing the evidence lead to the conclusion that the events probably weren’t paranormal at all and that most of the background “facts” are urban legend. Most of the information here comes from the 1999-2000 Strange Magazine article. (The article is quite well done and worth reading. It is well-written, with the Elan of a good detective story. I encourage you to read the whole thing.) Unless otherwise noted, the source for the facts about the incident in this post is the linked article. The media first became involved in this case when The Washington Post ran an article on August 10, 1949 titled “Pastor Tells Eerie Tale of ‘Haunted’ Boy.” Written in an almost tongue-in-cheek style by reporter Bill Brinkley, the piece tells an “out-of-this-world” story of a local 13-year-old boy. The story came to light when an unnamed minister gave a speech before a local meeting of the Society of Parapsychology at the Mount Pleasant Library in Washington, D.C.
On August 19, 1949 The Evening Star (Washington, D.C.) featured the article “Priest Freed Boy of Possession By Devil, Church Sources Say.” As the first account to provide any exorcism details to the public, the article opens by saying, “A Catholic priest has successfully freed a 14-year-old Mount Rainier, Md., boy of reported possession by the devil here early this year, it was disclosed today.” While names are withheld, it is revealed that the ritual of exorcism was given after the boy’s affliction was studied at both Georgetown University Hospital and St. Louis University. Later a 16 or 26 page diary of the exorcism (how long it is, if it really exists, is in doubt) appeared. Many years later, an aspiring screenwriter wrote a script based on the story, Hollywood snapped it up, and we got The Exorcist. My questions to Halloran a were met with brief, direct responses. According to the boy’s best friend, though, the boy (and his friend) had taught themselves to spit quite skillfully and in an unusual way. The rest seems quite mundane. Personally, I do not believe Rob Doe [a pseudonym] was possessed. There is simply too much evidence that indicates that as a boy he had serious emotional problems stemming from his home life. 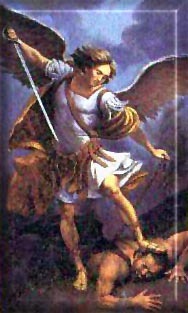 There is not one shred of hard evidence to support the notion of demonic possession. The facts show that he was a spoiled and disturbed only child with a very overprotective mother and a non-responsive father. To me his behavior was indicative of an outcast youth who desperately wanted out of Bladensburg Junior High School at any cost. He wanted attention and he wanted to leave the area and go to St. Louis. Throwing tantrums was the answer. He began to play his concocted game. For his efforts he got a collection of priests (who had no previous exorcism experience) who doted over him as he lay strapped to a bed. His response was that of any normal child—he reacted with rage, he wanted out. Without delving into the dynamics of psychosomatic illness, there is no question there was something wrong with Rob Doe prior to January 1949, something that modern-era psychiatry might have best addressed. Rob Doe was not just another normal teenage boy. Each of the parties involved in this case approached it from its own frame of reference. To psychiatrists, Rob Doe suffered from mental illness. To priests this was a case of demonic possession. To writers and film/video producers this was a great story to exploit for profit. Those involved saw what they were trained to see. Each purported to look at the facts but just the opposite was true—in actuality they manipulated the facts and emphasized information that fit their own agendas. On the one hand, this is undoubtedly true. As a lawyer who helps clean up workplace disputes when they get to court, the overriding importance of frame of reference beyond cavil. An employee can honestly and truly believe that what was, in reality, a slight, is simply evidence of a broader conspiracy to get him or her, a great employee. A supervisor can have it had “up to here” and honestly believe that neutral or good work was poor or otherwise unacceptable. If the dispute lasts long enough, both employee and supervisor end having permanent rose-colored contact lenses attached permanently to their eyes. I depart from the author because I think the boy was manipulating as does the author, which de-emphasizes the implicit negative carried by the term “agenda,” especially for the Catholics. For the Catholics, he did things that a Catholic would interpret as demonic. For others, he did different things. I wonder if he did Catholic things for the benefit of his Lutheran family and pastor; ‘demonic’ things for the benefit of others. There were a lot of agendas, and I view the boy as the primary agenda master. What about Hollywood and the journalists? The journalists did a poor job. The first reporter published it as a “tongue in cheek” report. The others piled on, but obviously did no work whatsoever. If they had, there may have been no story at all. Hollywood, of course, knows a good story when it sees one and The Exorcist was that. Visual, mysterious, supernatural, religious. In some ways, it was the anti-The Bells of St. Mary or even the anti-Ben Hur. There was none of the good nature of The Bells Of St. Mary’s and none of the human complexity so evident in Ben Hur. But it would be definitely be entertaining. I have not seen The Exorcist again and do not plan to do so (it really terrified me). I wonder, though, whether this was a ghost story or an “idiot-religious person” story. I wonder how the priests and the Church through them were presented? Were they idiots? Were they good-natured rubes? Were they appropriately skeptical? Were they real people? Did The Exorcist‘s drama derive from an all-powerful Satan using humans as playthings or was is it a typical drama: we know the good guy will win, but how? Was it ambivalent in a way that The Bells of St. Mary’s and Ben Hur were not? In other words, did The Exorcist mark a cultural turning point in which it became acceptable to mock Catholicism after the hey-day of the 40’s (Going My Way) and 50’s (On The Waterfront) (itself a movie that presents a Catholic priest hero but now as a social activist rather than a spiritual one, a different picture the priests in Going My Way)? Did the The Exorcist reflect an attempt to stereotype (or an attempt to reinforce an already existing generational stereotype) that the essence of Catholicism was superstition, while folks like Timothy Leary gave, er, alternative approaches? Deciding whether The Exorcist is culturally significant is “which came first the chicken or the egg” problem. The culture had to be ready first, but did the movie crystallize and give voice to something that people wanted to believe or already, however vaguely, thought? Hollywood then served up many more horror films like this such as the execrable The Amityville Horror. But the Baby Boomers quickly got their fill of demonic possession and Hollywood moved on to the ‘demonic’ mad slasher: Halloween, Friday the 13th, and Saturday the 14th. Was The Exorcist a culturally significant film? No doubt.